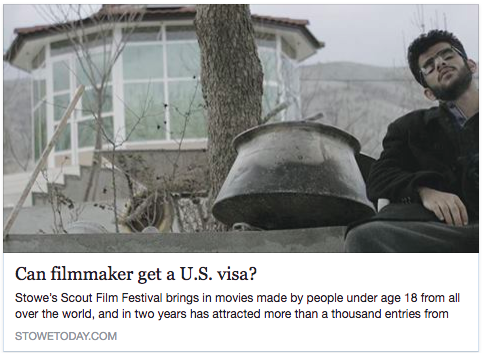 Many thanks to The Stowe Reporter and Tommy Gardner for this wonderful article about Scout and one of our talented filmmakers, Srwsht Abarash. We were so lucky to meet and celebrate this young talent in our inaugural year (2016) and will continue our mission of connecting storytellers, our next generation of leaders through short film. Please share.